Getting a job is one of the most exciting things that can happen to anyone but finding the ideal job especially when you have a learning disability such as NLD can sometimes seem daunting. Through my personal experience I have found that it has been difficult to find work that suits my abilities and meets my employment needs. Hopefully the advice I have found can help you find a job with colleagues and leaders who understand your little quirks and will take the time to help you work through any difficult situations you may encounter. Learning about the history of the company or organization you are applying for to have a good perspective on what has led the company to become what it is today. Make a good first impression by dressing appropriately for the interview. Ask for feedback from family members or friends to evaluate your outfit for the interview. Tell me something about yourself. Describe yourself to the interviewer by not delving into personal information but instead describing how you would fit in within the organization. What are your strengths? What are your weaknesses? When discussing your strengths avoid overused phrases such as “perfectionist” or “attention to detail” and instead describe how your abilities will be an asset for the company. 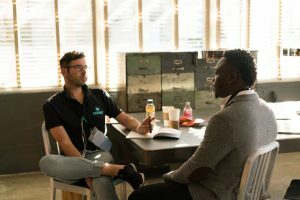 When discussing weaknesses, consider talking about a problem you may have encountered in a previous job if applicable and solutions you found to solve that issue. Why did you leave your last job? This can be a difficult question to answer especially if you got terminated from your previous employer so tread carefully when answering this question by giving a brief and positive response. There are resources available that are specifically catered to jobseekers with disabilities such as ThinkBeyondtheLabel.com which is a network that tries to increase the employment rate for individuals with disabilities (they have a great blog with tons of tips for success in the workplace); abilityJobs.com which provides job listings for individuals with disabilities; and gettinghired.com which helps employers find employees and employees find employers that provide inclusive work environments. A decent book that is very popular and catered to those with Asperger’s Syndrome and NLD is Employment for Individuals with Asperger Syndrome or Nonverbal Learning Disability: Stories and Strategies which is a combination of personal stories about working with these disabilities and strategies for overcoming workplace issues. I want to encourage people with NLD to realize that their abilities and strengths will help them in the workplace and that there are jobs out there that can help provide the support needed to succeed at that job. For example, I have worked at the same retail job for almost ten years and have great managers who can be flexible with my schedule and allow me to openly address any issues I may have experienced. My best advice though is to follow your passions whatever they may be and try to find work that is more than work—a place that you are excited to go to every day and feel accepted and included. Currently I work as a freelance writer for 24houranswers.com, an educational resource primarily for college students and love to write and research the different topics available, run my own Facebook page that assists individuals within the NLD community called The NLD Exchange, and have a travel blog where I write about sights and shopping in capitals of countries around the world. This work complements my retail work and enables me to use my strengths in writing and research. I am 27 and was diagnosed with NLD when I was 19. I currently have worked at a local department store for over ten years and it has been quite a journey there. I enjoy spending time with my family, reading, writing, playing with my dogs, and listening to music. I also have a Facebook page where I assist individuals with NLD. I am a Project Social Ambassador for The NVLD Project.